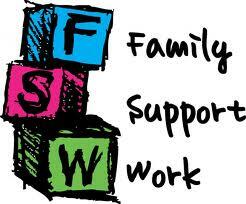 A key part of our work is to support families through the everyday normal challenges of family life. We focus on strengthening the family’s capacity to provide a nurturing environment for all family members while also intervening to address problems which have developed and become manifest. We provide many types of support to families through our group based activities such as parenting programmes, recreation groups, youth programmes, parent / adult education relevant to family living. Some of these supports are listed in our ACTIVITIES & GROUPS tab.